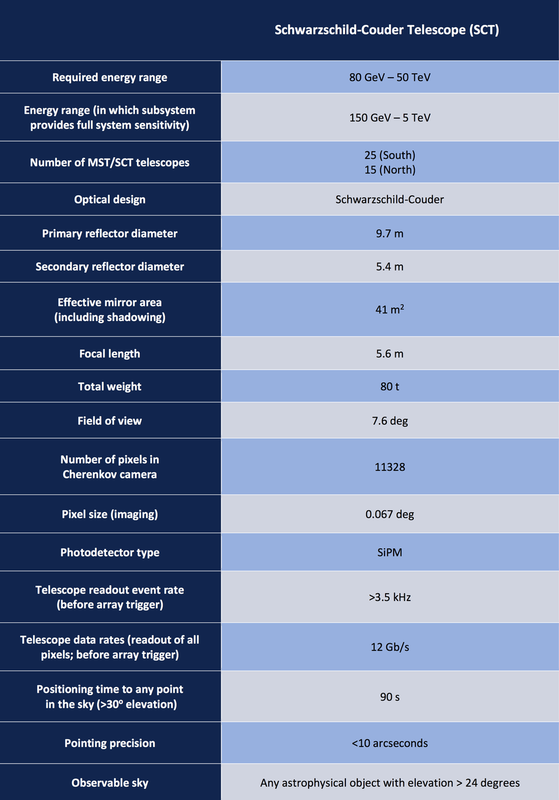 A dual-mirrored version of the MST, the Schwarzschild-Couder Telescope (SCT), is proposed as an alternative type of medium telescope. The SCT’s two-mirror optical system is designed to better focus the light for greater imaging detail and improved detection of faint sources. In collaboration with the SST-2M and MST groups and institutes in Germany, Italy, Japan and Mexico, institutes in the United States have been the pioneers of the SCT design since 2006. The SCTs have improved angular resolution as a result of a smaller point spread function (PSF) and the very large number of camera pixels (>11000), based on silicon photomultipliers (SiPMs), covering approximately 8 degree field of view. 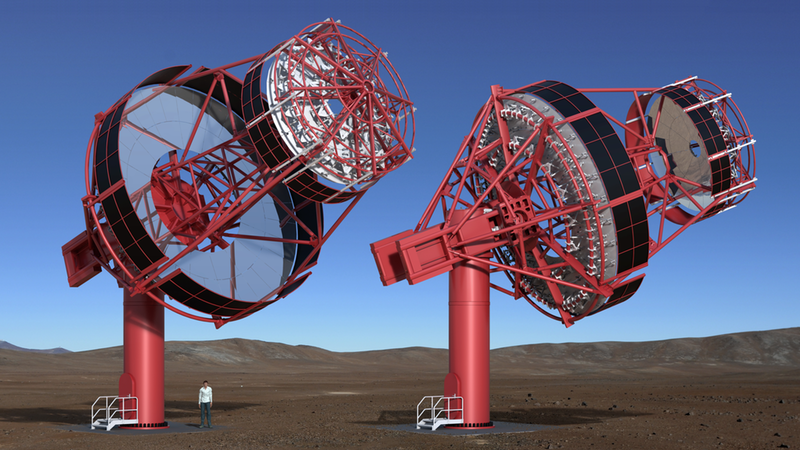 Both the 9.7 m diameter primary and 5.4 m secondary mirrors are segmented and have active alignment. The SCT uses the same positioner as the MST and the camera technology developed for the SCT is also used in the SST-2M GCT. 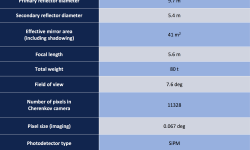 The main specifications of the SCT are in the below table. Above, the SCT mechanical design. The positioning system is nearly identical to the MST. 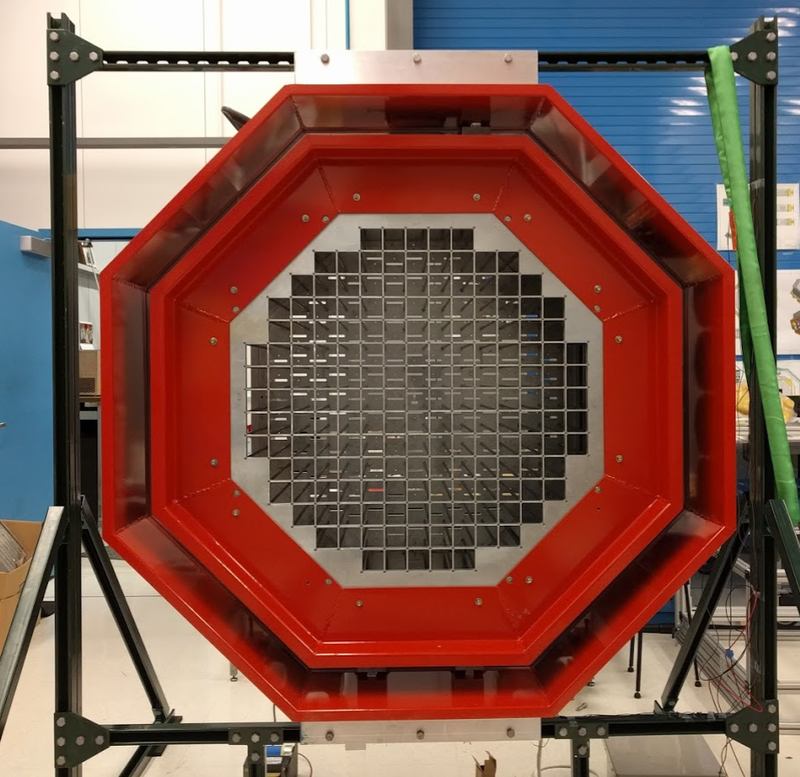 The unique optical support structure is designed to support segmented primary and secondary mirrors as well as the high angular resolution camera (not pictured here). It is designed to provide minimal shadowing, control of stray light and protection from sunlight during daytime parking. The SCT camera is composed of the mechanical enclosure, SiPMs mounted in focal plane modules, front-end electronics with preamps and first level trigger, and backplane electronics that provide the pattern trigger and data acquisition hardware. 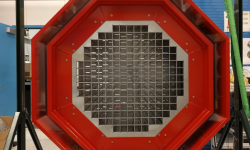 Data from nine subfield backplanes will be merged and delivered to the SCT Camera Server using standard high-speed communication protocols. Trigger and time synchronization signals from the backplanes will be relayed by the distributed array trigger electronics.